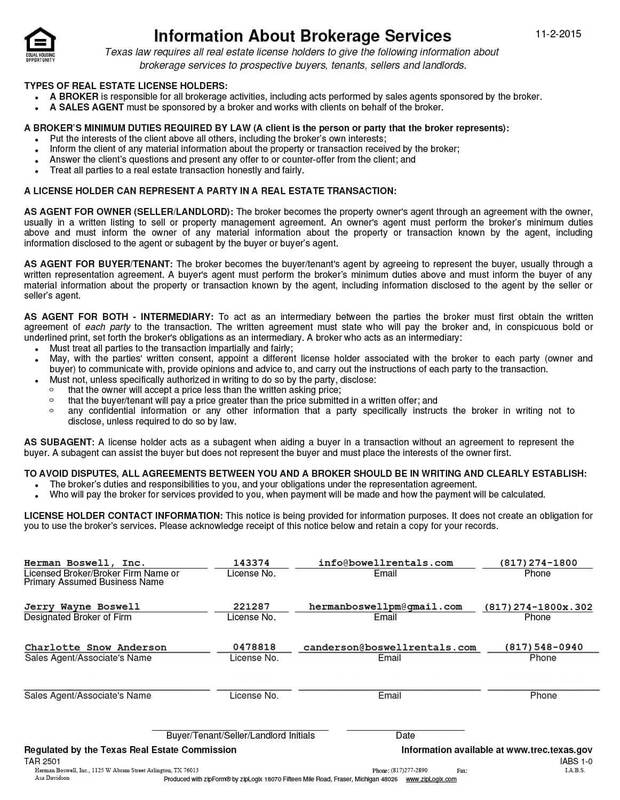 Download the lease agreement here. If you have any questions please get in touch, we would be happy to be of help. Learn more about our tenant services today! If you are experiencing any maintenance issue, then utilize this form to inform us of your needs. Learn more about our tenant services today! If you need to update any of your contact details, kindly use this form to report those to us. Just another one of our automated tenant services. Thank you for taking the time to browse our website and experience what Herman Boswell Property Management has to offer for current and prospective owners. Along with management, communication is considered an important tool not only with our owners but also their tenants. Keeping an open line of communication will ensure that an owner’s property is being managed effectively and keep tenant retention at a high level. Our property managers work very hard to make sure you are updated and informed about your property and are there to answer your questions and concerns. With over 25 years of experience, we hope to make your role as a landlord as easy and painless as possible. With the click of a button, we can have an agent ready and willing to help you with all of your management needs. For more information, please request a management proposal below. We look forward to a successful business relationship from now and into the future.